To see Keith Creel in action is to see efficiency personified. 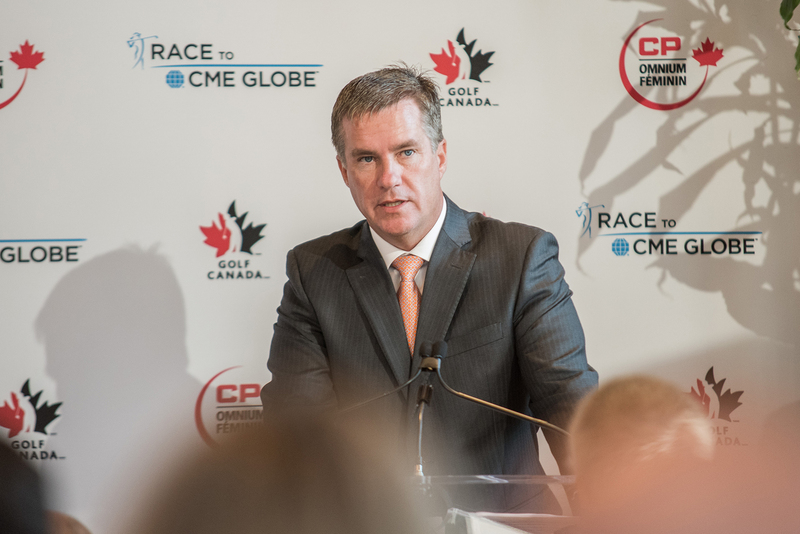 The President and Chief Executive Officer of Canadian Pacific is committed to precision and to providing safe, efficient and reliable rail service that connects Canadian commodities with the world. While his passion for railroading runs deep, his passion for golf isn’t far behind. 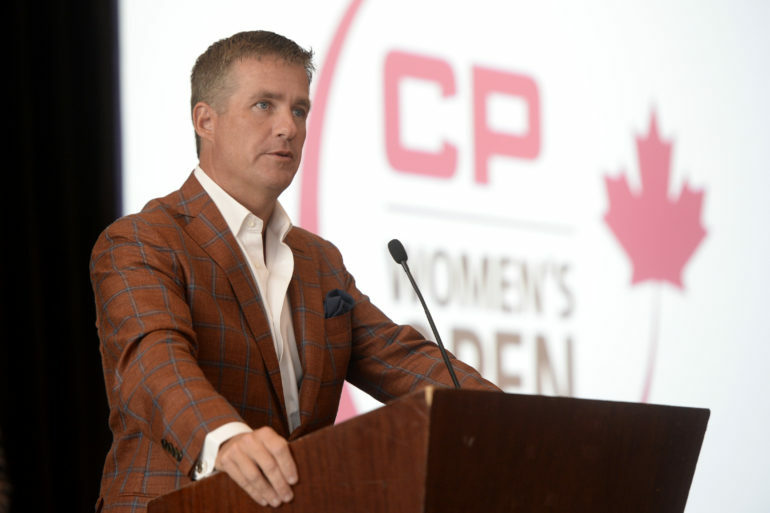 On July 9, he was front and centre, letting the country know CP had extended its agreement with Golf Canada and the LPGA Tour to continue to sponsor the lone stop on the LPGA Tour schedule for the next five years, as well as continuing to invest in a myriad of other Golf Canada programs as well as sponsor LPGA Tour winners Brooke Henderson and Lorie Kane. 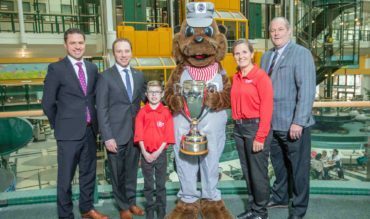 “I’ve had history with this event for the last eight or nine years and there’s nothing that connects personally or professionally across the business in so many different areas with people and communities like golf does, especially in Canada,” said Creel, who also worked at CN Rail prior to moving to CP, the previous sponsor of the Canadian Women’s Open from 2006-2013. Creel looks forward to the impact CP is going to have in the communities where the tournaments are played over the coming years. Saskatchewan, for example, is one of only two provinces in Canada that does not yet have a children’s hospital. With the estimated $2 million that will be raised for this year’s event, CP will play a starring role in making that a reality in 2019. He also gets excited talking about the success of Henderson, who shot a tournament course record in 2017 at Ottawa Hunt and Golf Club on Saturday to get into contention. “I don’t know if we’ll see anything like that again, and I hope I’m wrong because that was pretty special,” he said of Henderson’s run up the leaderboard. Creel began golfing himself when he came to Canada in 2002 and started as “a hacker” in Winnipeg. 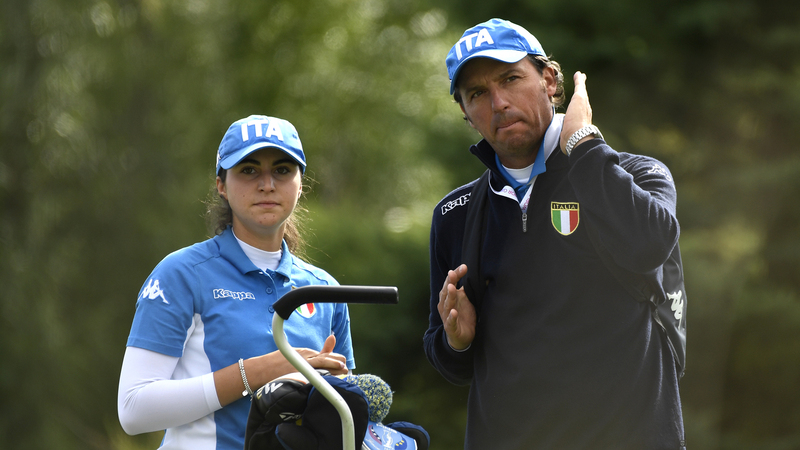 Creel had some history at Magna Golf Club – the announced host site of the 2019 CP Women’s Open – having lived in the area previous and making fond memories with his family. “I started to be a hacker and I loved hacking. I haven’t stopped since,” he explained with a smile. At a time when corporate budgets are getting tighter and a stronger-than-ever business case needs to be made when it comes to be involved with programs or events, CP has doubled-down on their investment to be involved with golf in Canada. Creel said both the “people return” and the “business return” of being involved with golf make a lot of sense to him, and the relationship with Golf Canada is one that is filled with synergies. Laurence Applebaum, who just celebrated one-year at the helm of Golf Canada as its CEO, says his personal relationship with Creel has been invaluable, as he’s gotten his feet wet in corporate Canada. Applebaum said Golf Canada is thrilled to have Creel and CP as a key partner for Golf Canada for the next five years, as the railway will also be a financial supporter of the Young Pro Program, Golf Canada’s National Team, and the title sponsor for the CP Women’s Leadership Summit (debuting this year in Saskatchewan). With a five-year agreement, Applebaum says CP is showing its commitment to the sport in Canada and it’s showing the marketplace where its priorities lie. “These companies want to be long term committed partners and it helps us plan our business, engage our fans, and tell people what we want to do. It gives us a runway for success,” said Applebaum. With the 2018 CP Women’s Open on track and starting next week, Creel said it’s full steam ahead. But it’s not just for this year. It’s for the years ahead as well. Creel is excited to use golf as a platform for its business to connect with millions across Canada.